The recently announced collaboration between JP Morgan, Berkshire Hathaway, and Amazon has everyone in the healthcare industry talking. This powerful trio is seeking to disrupt and transform the healthcare system by reducing healthcare costs for their collective employees. While no one knows how this will truly play out just yet, there are many reasons that this alliance is important for the pharmaceutical industry, especially for payers. Less fragmentation, more consolidation: The move to a potentially larger combined organization may lead to less fragmentation and fewer individuals making decisions for larger populations of people. As buyers of insurance products, employers put pressure on health plan vendors to reduce costs. In turn, health plans put pressure on suppliers of goods and services to decrease costs or create more value for their offerings. Going forward, we can expect that the value of product offerings may be more highly debated and scrutinized than ever before. Increased integration: The integration of medical and pharmacy data may lead to a better assessment of outcomes and value. In this type of transparent system, decision makers might be able to more intimately understand patient inputs (ie, treatments) and outputs (ie, health outcomes). In addition, the reduction of a profit motive in the new potentially closed healthcare alliance system should provide interesting opportunities for evaluating health outcomes with their own real-world data, which could ultimately have more utility and context with patient subgroups being highly defined. It may become more important than ever for pharmaceutical companies to ramp up efforts in defining value through a payer and employer lens. Potentially lower cost: Economics will be a powerful force in driving change with this new alliance. Increased competition with fewer players coupled with the consolidation of buying power will potentially drive the cost of care down for suppliers of healthcare goods and services. This, after all, has been the Amazon model, and is certainly an area of expertise that is being brought to the table by this power player. New distribution model: We can expect to see the removal of middlemen like pharmacy benefit managers and group purchasing organizations in this new system. Berkshire Hathaway is highly experienced at bringing efficiency to the market through integration and consolidation. Having made strategic investments in the insurance industry, they have proven to bring improvements to healthcare financing and system delivery models. This could spawn new customer base or opportunity for engagement. Shared goal: This model means that the employer, the employees, and the staff providing the healthcare services are essentially all on the same team, with their shared goal being to optimize quality of care and healthcare costs. As a result, we may see comprehensive incentive programs and benefits for employees to take proactive, preventive control of their health. This includes the adoption and use of new tools and resources that will serve as a vehicle to deliver content and information directly to patients and providers in real time to support the delivery of care. We will have to wait and see exactly how this alliance will operate, but these 3 heavy hitters certainly have what it takes to transform the market. While their goal to reduce healthcare costs remains just that––a goal––for now, there is an opportunity to be highly disruptive to the payer space. 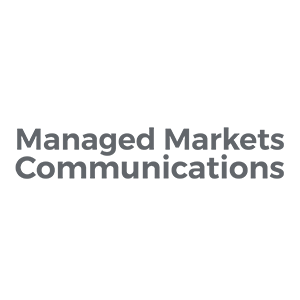 Managed Markets Communications, a Syneos Health company, is a full-service market access agency delivering a confident, finely-tuned understanding of managed markets and key stakeholders. We have purpose-built our team to address the complexities of the managed markets space, allowing us to provide a depth and breadth of experience to help solve our clients’ market access challenges. Our Content Experts have walked in our clients’ shoes and the shoes of their customers, allowing them to bring invaluable industry expertise to our strategic executions. Day in and day out, our entire agency is solely focused on managed markets—it’s what we do and who we are. We leverage our strategic expertise and collective experience to deliver customized market access solutions for our clients’ brands, including value proposition development, impactful access and reimbursement programs, healthcare economics expertise, and seamless execution.